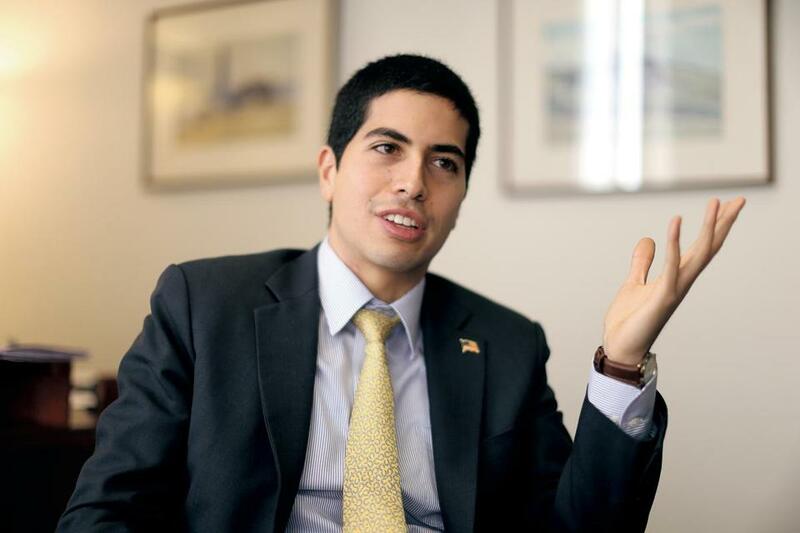 Daniel Koh, Mayor Martin J. Walsh’s chief of staff, is excited about the Forbes event coming to Boston. He made the magazine’s “30 Under 30” list in 2014. The publisher of Forbes magazine has picked Boston, one of the country’s youngest cities, as the new home for an annual series of events geared toward millennials striving to one day make its ranking of the world’s richest people. Forbes Media is set to announce Monday that the city will host its Under 30 Summit from Oct. 16-19. The company hopes to attract 5,000 people to the four days of events, which will include speakers, concerts, a food festival, a business-plan competition, and a “service day” intended to help improve the host city. The showcase event will be an invitation-only meeting at Faneuil Hall for people connected with the Forbes “30 Under 30” rankings of promising young people in various industries. Forbes magazine editor Randall Lane said in an interview that Boston was selected in part because of its youth. Nearly 40 percent of the city’s residents fall in the coveted 18- to 34-year-old demographic, one of the largest contingents of young adults in the nation, according to the Boston Redevelopment Authority. Public spending for the Forbes events drew some criticism in Philadelphia, where a city-controlled nonprofit organization committed to spend $3 million on advertising with Forbes in the first two years it held Under 30. A Philadelphia Inquirer editorial called for the city to abolish the nonprofit, which it called a “slush fund,” after the Forbes deal was revealed. The company is searching for private sponsors for the Boston summit, Lane said. State and city officials said there will be no taxpayer money used to subsidize the events here. Lane said Forbes hopes to keep the summit in Boston indefinitely. Several people with close ties to the city have been named to one of Forbes’ “30 Under 30” lists, including New England Patriots tight end Rob Gronkowski, chef Chris Coombs, and technology investor Peter Boyce. Koh made the list in 2014 when he was general manager of The Huffington Post’s live-streaming network, HuffPost Live. He said the event, coming on the heels of GE’s relocation of its headquarters to the Seaport, was a “one-two punch” that should help revitalize the city’s brand.